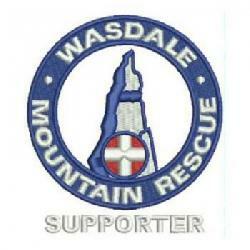 Callout for a walker with possible Hypothermia on the summit of Scafell Pike. The two walkers, brother and sister, were very cold, wet and shivering and lost. Weather was wet and windy with mist down to low level. Despite reasoning with them, the female refused to move. They were sheltering next to a cairn on one of the summit paths. As there was potential for two carry down casualties the team was called out. When eventually advised that it would take the team some time to get to them there was a change of mind and they decided that perhaps they might just be fit enough to move and make their way down under their own steam. They were talked down off the mountain and when they got to Hollowstones they were happy to carry on down on their own. The team were eventually stood down.